Over the summer I was using the Sephora Mattifying Powder and had very mixed feelings about it when I was using it to set BB creams and tinted moisturizers. It was just a little too heavy and had a little too much coverage for the summer months. But towards the end of August, when I had already hit pan and was most of the way through the product, I tried it on its own over a moisturizer. I have to say, it looked phenomenal on its own! So I wanted to find a powder foundation that I could wear on an everyday basis but one that I could also use to set BB creams if I wanted a little extra coverage. 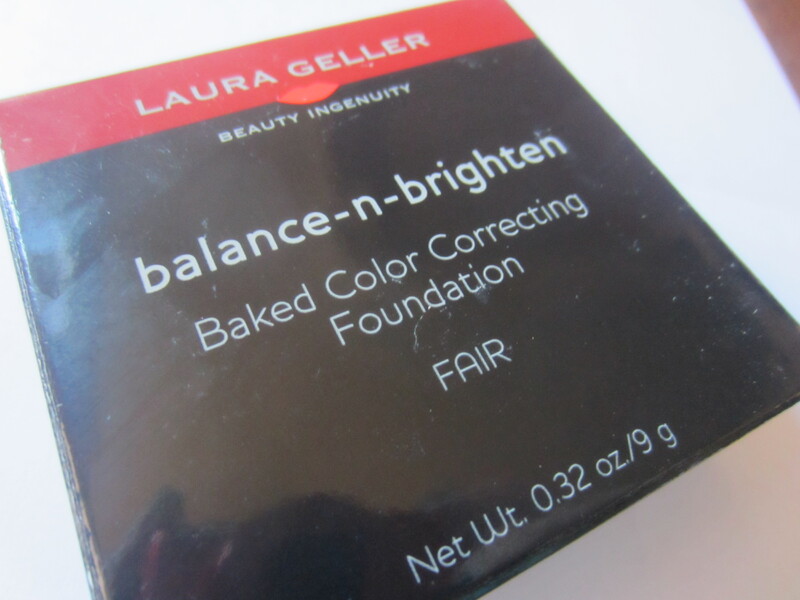 My research lead me to the Laura Geller Balance-n-Brighten Baked Color Correcting Foundation. Keep reading for my thoughts, swatches and my final verdict! Balance-n-Brighten Baked Color Correcting Foundation is a unique liquid powder that can be used on its own or combined with your favorite base for a flawless finish. This newly formulated foundation is mineral oil and paraben free. It is also loaded with the age-fighting, anti-oxidant protection of Centella Asiatica and White Tea. Designed with swirls of soft tan and cream, its luxuriously smooth and silky texture helps offset ruddiness, brightens sallow tones, and balances most complexions. Use all over face in place of foundation or with your favorite base for an even and healthy glow. Mix with Bronze-N-Brighten to achieve a flawlessly bronzed complexion. 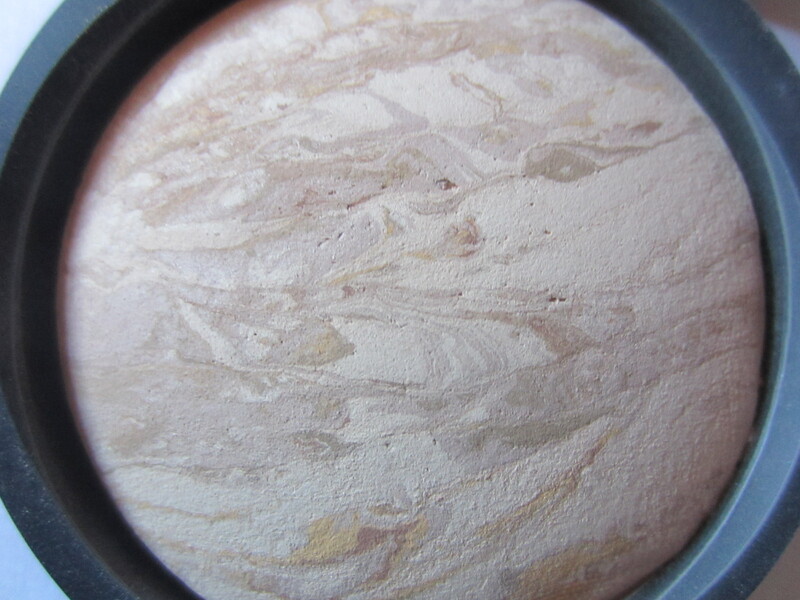 This powder comes in 3 colors: Fair, Medium and Tan. I picked up the fair because, lets face it, I’m pretty fair. You get .032 oz. of product, which I don’t know if that is a lot or a little for a powder foundation in compact form. Since this is one of the few that I’ve ever used, I’m going to say its pretty good considering I’ve been using it every day for a month and I just now noticed a dent in the dome. My face, early in the morning, without foundation or concealer. I do have mascara, eyeshadow and liner on because I was getting ready for school (sorry!). What I like: I love the finish. I love that its a powder but it doesn’t give a full matte finish. Its almost like a demi-matte. And it definitely does brighten my face. Another thing I love is that it changes to conform to my skin tone. Since it only comes in 3 shades I was worried it wouldn’t match that well, but it matches perfectly. The staying power is really amazing too! 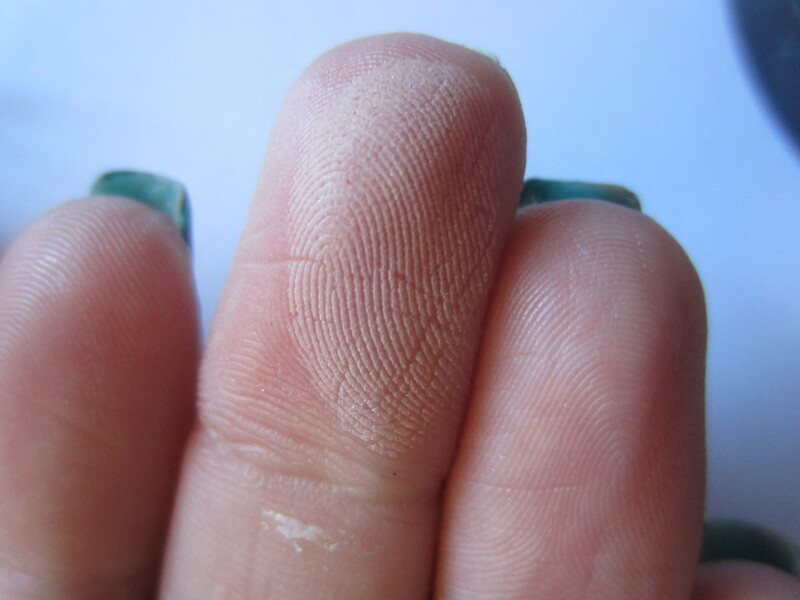 It stays for a good 6-8 hours before I noticed that it faded or it settling into the lines on my face. What I don’t like: Maybe this is just me but this product required a little bit of a learning curve. Since I wasn’t use to using a baked powder compact foundation, I didn’t know how much to use or apply. I found out that you don’t need much! This product can get cake-y pretty easily. So I had to play around with different methods of application to get it perfect. Also, it doesn’t come with any type of sponge or brush applicator, like other products that are similar. For as pricey as it is (which I also don’t love), I expected it to have a sponge or something to make it simple to use. Overall, I love this product! It has become my every day foundation now. I wear it over a primer and it lasts literally 12-15 hours. I love how my skin looks with this product and I’ve used it on its own and as a setting powder, and it works well as both. I wish it wasn’t so expensive though and also its a little tricky learning how much to use so you don’t get cake face. Best of 2012!! Makeup, Beauty and Nails! ← “This is Halloween” Nail Art Challenge! works great on evening out my freckled complexion and on any areas that are dark (think dark, purplish circles under your eyes and the interior hollows of your eyes by your nose, or any dark blemishes). Since yellow cancels out purple/violet colors, this makes a lot of sense. It works OK on redness, but better with an overall color correction routine. I use Smashbox’s Green Photo Finish Color Correcting Foundation Primer and then Physician’s Formula Color corrector in green as a blemish concealer, my regular foundation and then finish with this product for an overall flawless (and redness free) look. Makeup drawer looks a little scary with all these green and yellow products – someone looking in might think I’m an alien! 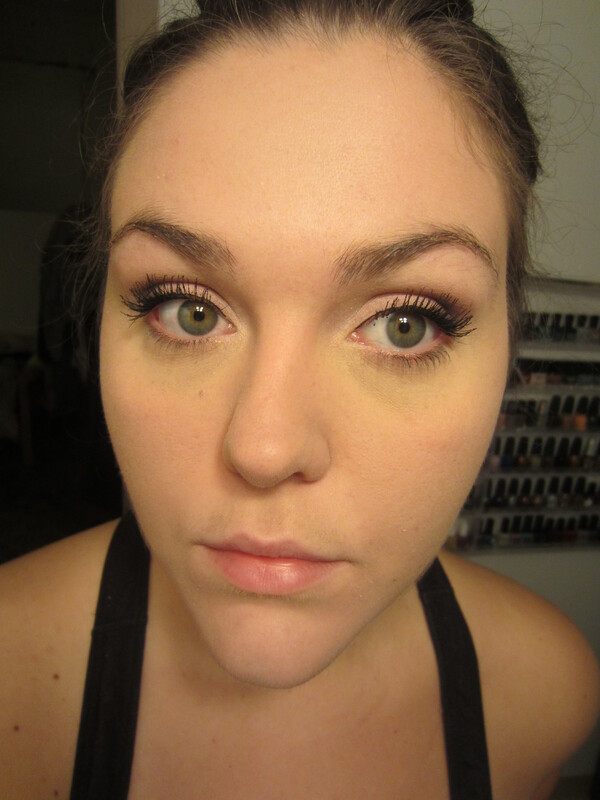 :o) But, I now use a lot less foundation which gives me a fresher, cleaner look and feel. 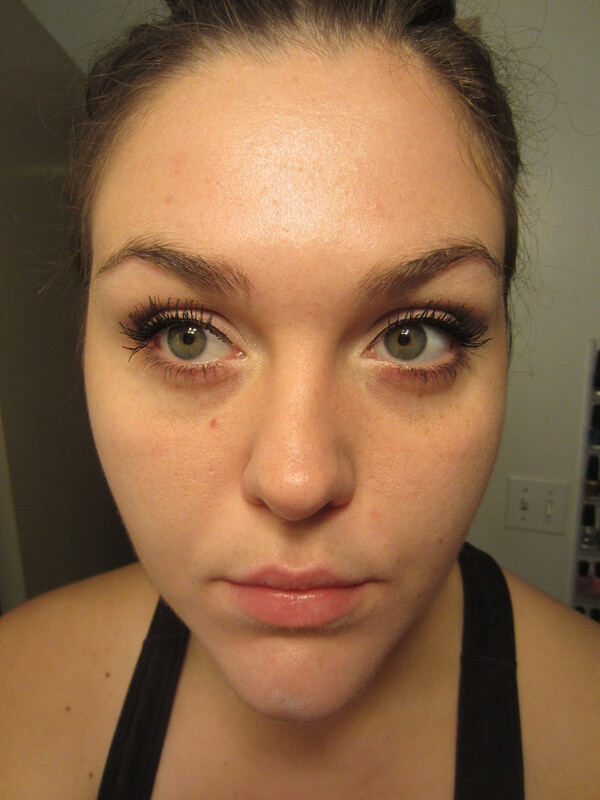 The product is very light and feels fabulous on. It takes a few minutes for it to “settle” on your skin – aka not look like a powder, but once it does, it’s great!